There are two compelling questions raised by the exit of Ferrari’s long-time chairman, Luca Cordero di Montezemolo. The first is: Did Montezemolo fail with Ferrari, and if so, why? It is hard to speak of failure when, in the last 23 years, Montezemolo helped Ferrari win 13 world championships and made the Prancing Horse the “most powerful brand in the world” (Source: BrandFinance). In doing so, he increased its car sales, royalties and technological excellence exponentially. Montezemolo himself has responded to past criticisms of poor racing results by reminding critics that Ferrari is – commercially speaking – an extremely successful company. So why let him go? Sales are not, and never were, a real issue for Ferrari. Even in previously turbulent times, such as the 90s (where racing results were also lacking), Ferrari sold everything that it produced. Indeed, management research shows that company status is more resilient than most people believe, and it might take decades before negative results in races end up corroding the shiny appeal of Ferrari’s road cars and related merchandise. In other words, while racing results might influence sales, their impact is lagged in time with a considerable delay of several years. So why would a top manager be unable to repeat his former success? Management researchers often quote the ancient Greek word of hubris, an individual feeling of extreme pride or self-confidence which creates a systematic bias in underestimating the challenges ahead, or overestimating his/her own possibilities of hitting targets. 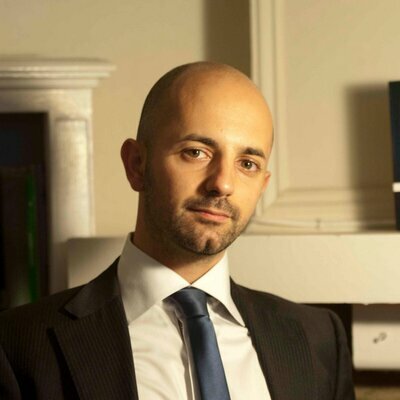 Says Dr Paolo Aversa, Assistant Professor of Strategy at Oxford’s Cass Business School: “If we look at Montezemolo’s public life through this lens, we notice how he practically left Ferrari years ago when he turned his active leadership into a representative one. In his early days at Ferrari, Montezemolo started his career at the pitwall, where he applied his extraordinary management qualities to trigger an amazing strategic turnaround for Ferrari as both a car manufacturer and racing team. “Montezemolo excelled as a manager when applying a very hands-on and active leadership. However, in recent years, he changed his leadership style from active to representative and spread himself too thin through a series of business, political, and social ventures. Rather than applying his skills to the task, he used his successful personal brand to endorse various and mildly-related initiatives. This is a typical sign of hubris and even exceptional performers cannot compensate for the lack of time when they are actively in charge of such an exorbitant number of high-profile activities. The second critical question to ask is: Will Montezemolo’s exit help Ferrari get back to winning days? Montezemolo’s departure creates the right opportunity for a new leader to step-in at Maranello, and leaves space for a leader who can devote more time and commitment to the non-trivial task of putting Ferrari back on pole. Sergio Marchionne’s leadership is a necessary, transitory phase, motivated by another non-racing goal: the upcoming flotation on the Wall Street stock market of FCA Group.